It’s crazy how sometimes things come full circle: How one day you can be standing in a dealership in Nevada looking at a used car, and then after that car travels through 13 years, 51,585 miles, 6 owners, 3 U.S. states and a Canadian province, the same exact car turns up in front of your face at a show 400 miles from your house. That’s exactly what happened with a specific car that’s been on the show circuit lately with Clarion Builds, and I’ve had some close contact with the team responsible for it. I’m a firm believer that every vehicle out there has a story to tell. It’s one of the reasons I’m fascinated with visiting salvage yards and poking through the relics to try and piece together the life that each one lived. Today, I’ll share a history lesson on this one in particular. The vehicle wearing VIN JH4KA8174RC001646 is a special car. 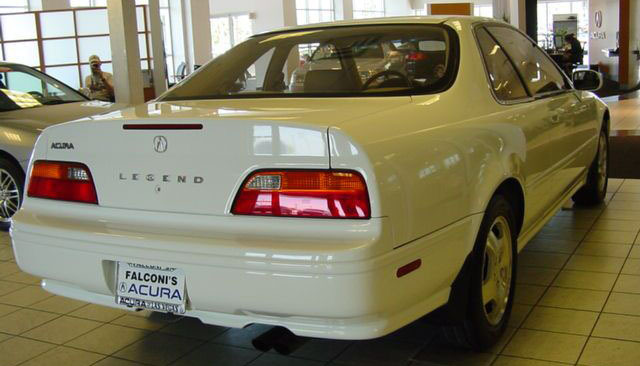 For one thing, it’s one of only 37 Taffeta White on Ivory Acura Legend LS coupe 6-speeds produced for the 1994 model year. But beyond that rarity, it’s special because of its notoriety in the Legend community as one of the best-kept in existence. On June 7, 2004, this very Legend was 10 years old and had only 6,533 miles on the odometer. 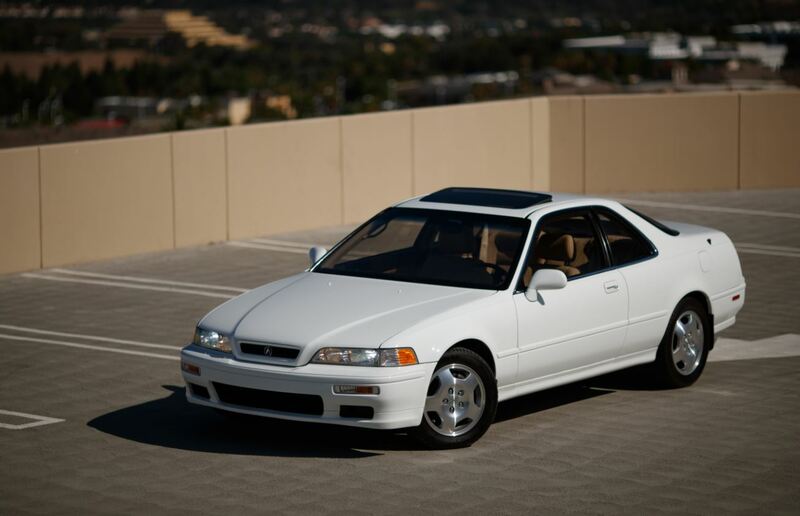 The story, as I knew it, was that the car was held for that decade as property of Honda – stashed away in a warehouse somewhere in Torrance until finally brought to light. 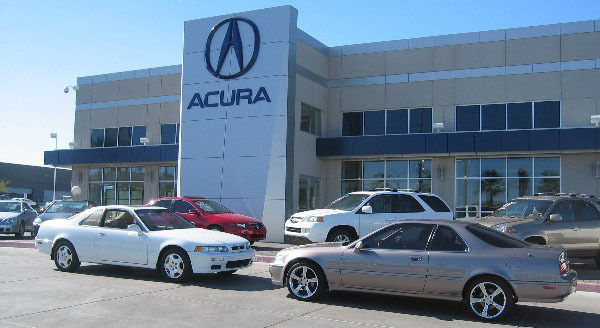 How the Acura dealership on Sahara Avenue in Las Vegas got ahold of it is a mystery to me, but my friend Louie who was – and still is – in Sales at that facility was happy to pull it out of the showroom for my friend Jeff and me to slobber over in the daylight. 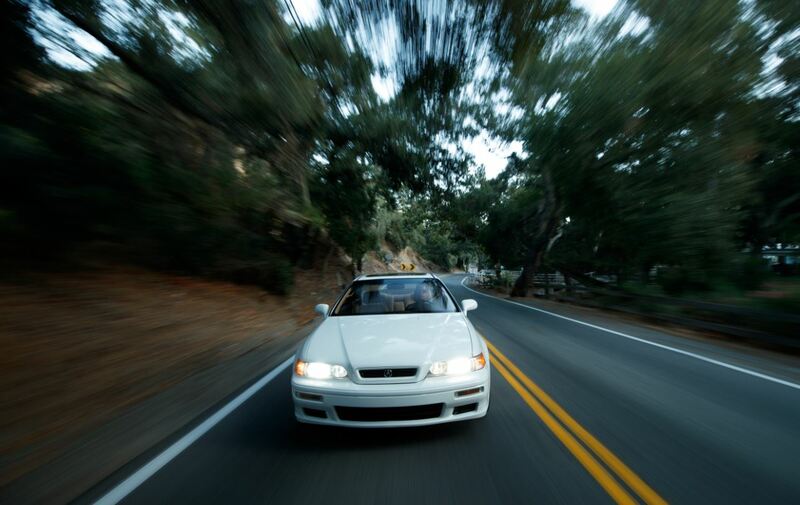 I was 22 years old at the time, and the proud fresh owner of my own Legend – albeit far more worn in at over 100,000 miles. I drove the 90 minutes /100 miles from St. George, Utah to Las Vegas for the preview – even though I was nowhere near being able to pay the $25,000 asking price. 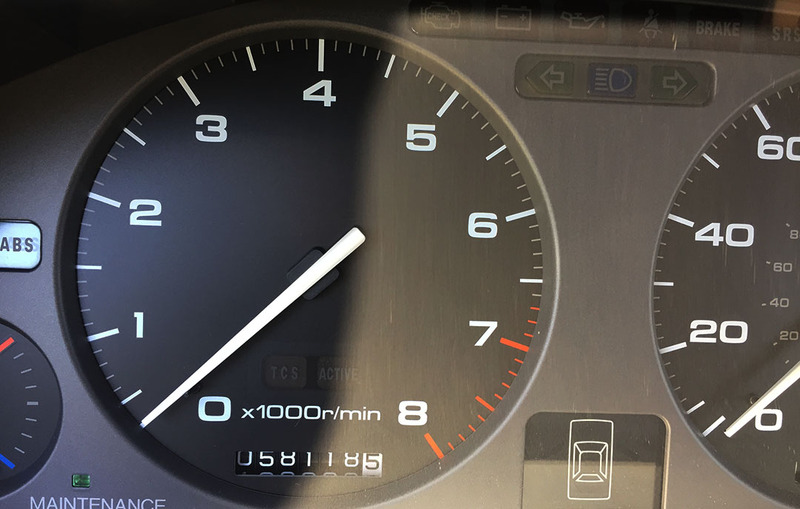 Check out that odometer! These were a few more of the photos I took at the time when Louie pulled the car out and we parked it nose-to-nose with my own coupe (and its flashy 18″ Mille Miglia chrome wheels at the time). Remember, I was 22. I’ve been able to piece together a rough timeline on this Legend’s lifespan from 2004-onward. May 27, 2004: Sold at Desert Southwest Region Auction as manufacturer vehicle with 6,502 miles for $23,750. 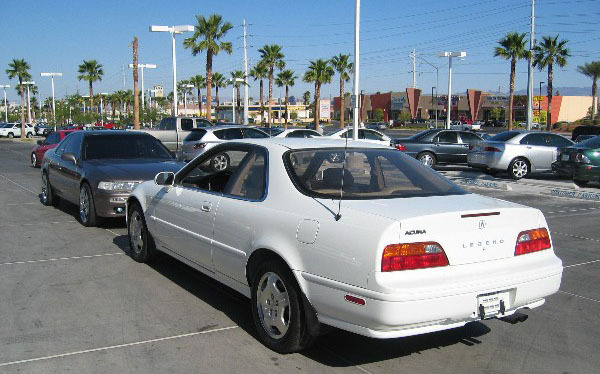 For reference, this was a year after I had bought my 1994 LS coupe with 95,000 miles for $9,500. December 2, 2017: Scheduled to be shown at Radwood, a car show in Anaheim CA focusing on 1980s-1990s cars. I’ll be there, and I’m bound to see it again! 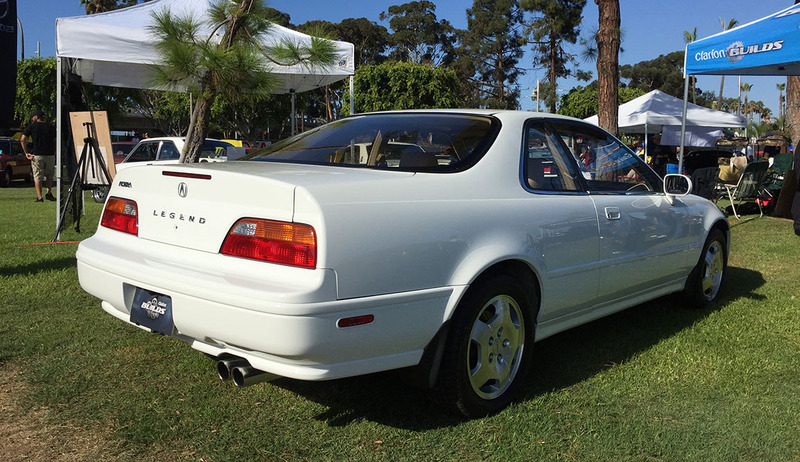 To those of us in the Acura classic car collector community (Should I call that the ACCCC? ), it is great to see this car getting so much love and attention. 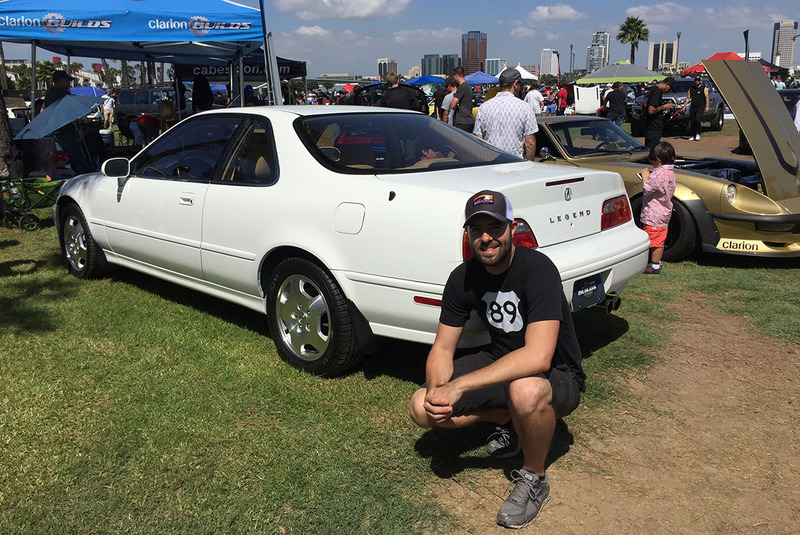 Having a pristine Legend being shown at venues like JCCS brings light and attention to a genre of cars that is often overlooked: the up and coming 1980s-1990s segment. 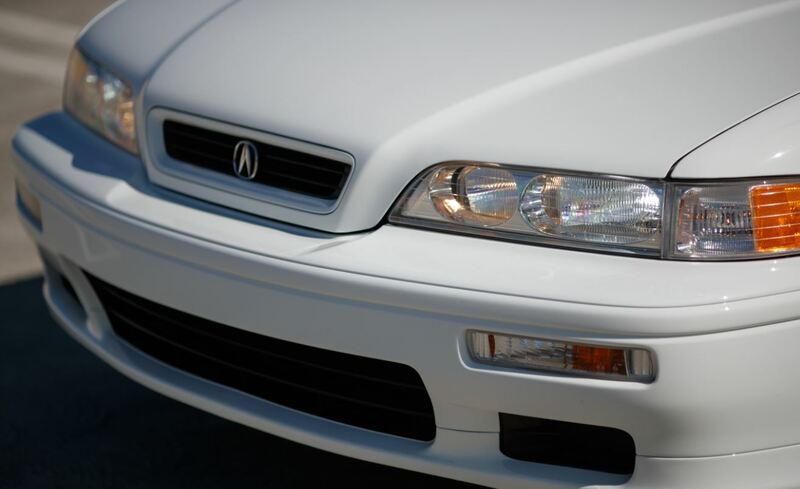 Plus it helps people learn and appreciate more about the rich history and heritage in the Acura brand now that it’s 32 years old. Many thanks to the folks at Clarion for sharing some information about this car. I think they deserve some recognition for the hard work and diligence in restoring, preserving, and promoting it. Here are some other photos from the Japanese Classic Car Show last month. And a few great photos from Larry Chen, provided to me by the Clarion team. This entry was posted on November 24, 2017 at 11:22 am and is filed under Legend, Reader's Ride. You can follow any responses to this entry through the RSS 2.0 feed. You can leave a response, or trackback from your own site. Are you going to buy it Tyson? Beautiful. 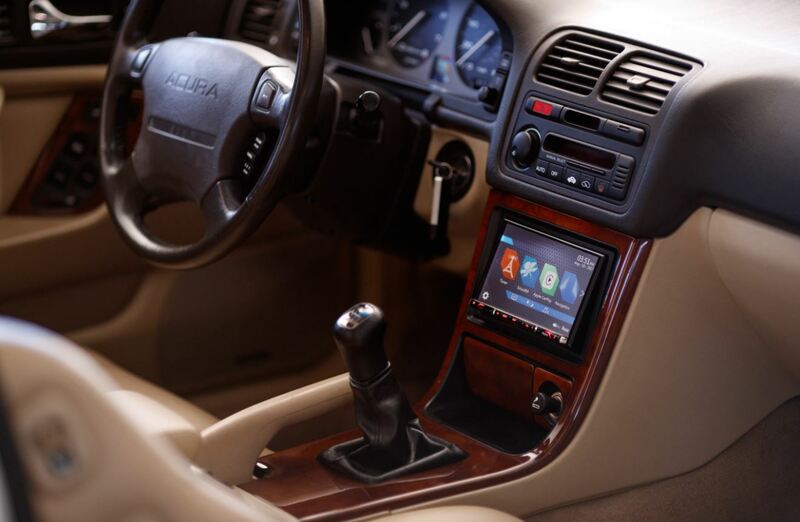 That white and ivory interior combo is so classy. Agree. Definitely an attractive color combo! Hmm. Italian leather… that’s different. 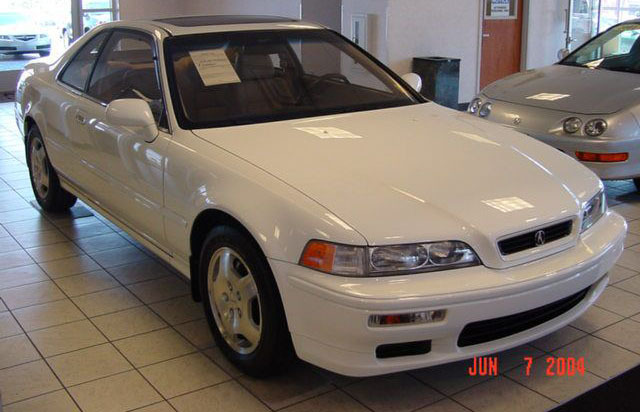 Always nice to see another restored Honda, er Acura. I agree, let’s hope Honda continues to take note of people who are preserving these old rides. I am not sure if the people who did this build had any issues with ABS. 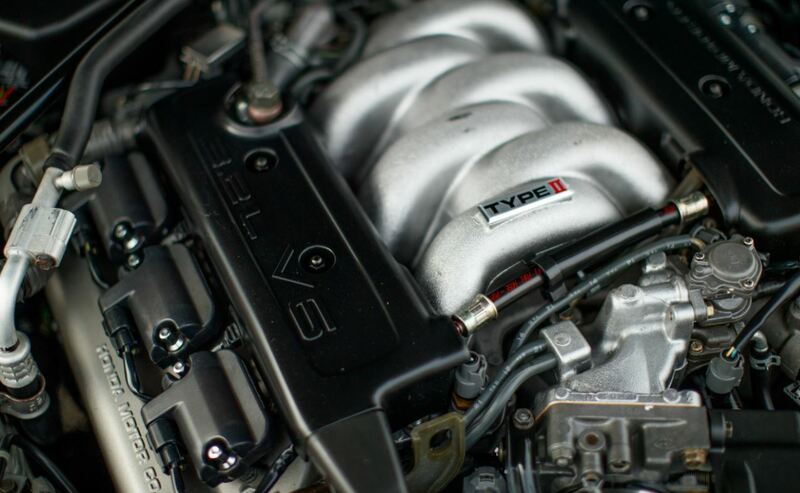 Which reminds me, I’m on a mission to get a replacement ABS pump for the Integra. Nationwide search underway, and my friend Marc has offered to help me rebuild one too. Super clean! I love seeing stories like this. 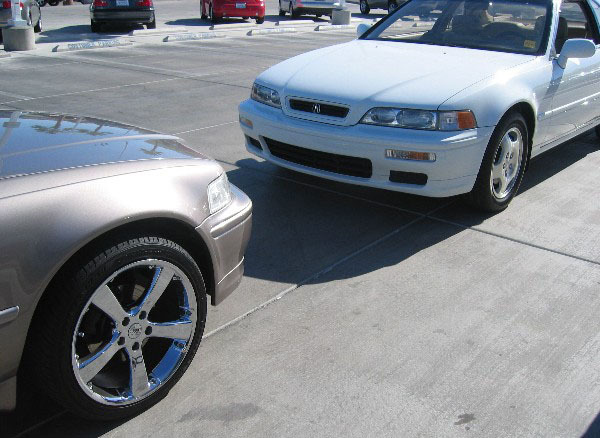 Only 37 Taffeta White on Ivory LS 6-speeds in ’94? DARN!!! There was one of these for sale in Las Cruces not too long ago, but I just couldn’t justify it financially. 😦 It needed a little refreshing, but it was all original. I remember that one in ‘Cruces! Yeah the numbers on these are really slim – even more so now after 2+ decades! I also like the fact that there are people out there actively restoring what is now the “next” generation of classic cars – the 80s and 90s. I’m not sure what availability of these cars is like in the States, but there’s fewer and fewer 80s cars left here in New Zealand – that dreaded thing called rust has certainly taken many of them to an early grave. Make sure you snap a few photos when you’re at Radwood. Hope your weekend is going well. Oh I will for sure get plenty of pics and videos at Radwood! It’s an era of cars the I have special consideration for, since my first two cars were a 1986 and a 1989, and I got my license in 1997. That whole era was when the automotive interest really started lighting a fire for me 🙂 My weekend is going really well. I made the 400 mile drive today from southern Utah to Phoenix and it’s nice to have another day of ‘weekend’ to relax tomorrow! Talk to you soon my friend. Fantastic post. That Legend is stunningly gorgeous. I see that it resided for a while in Massachusetts- my area of the nation isn’t too gentle on cars, so I hope it didn’t take too much of a beating here in New England (although I am sure all was put well during the restoration). 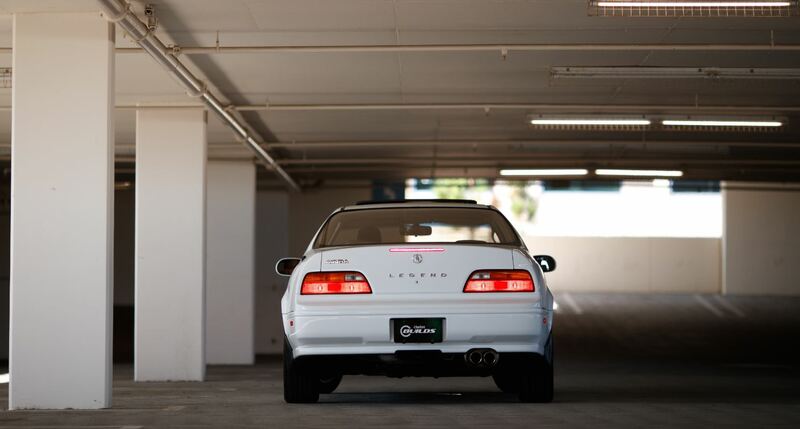 I can see you in a 1991 LS “Golden Glow Pearl”! It’s a rare one-year-only color. We’ll make it happen eventually 🙂 Hope you had a nice Saturday evening!! 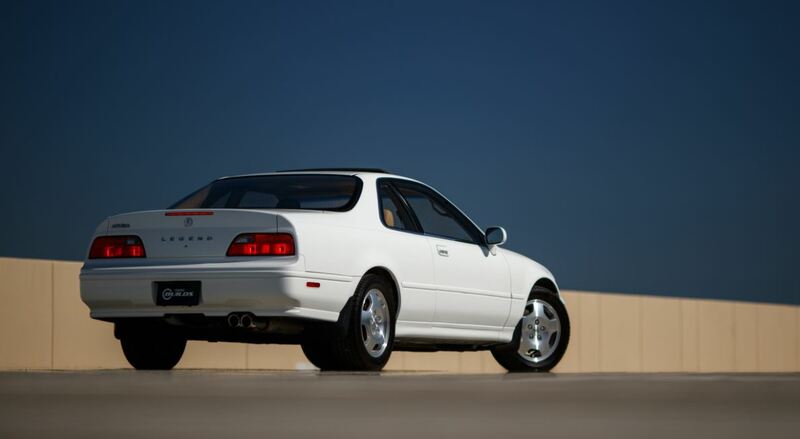 I remember seeing this low mileage gem listed on autotrader at the time for some $25-$28k. Amazing research to document the ownership. 6 owners is incredibly too many. I have a 94 Milan red coupe and was considering flying out to Vegas to add this featured showroom piece back then. Amazing full circle story. Never would have thought 6 owners, but looks great. Keep in going! Agreed, I’m shocked how many times this car has changed hands but I think it will stick with the current owner for a while considering how much he’s spent on restoration work. 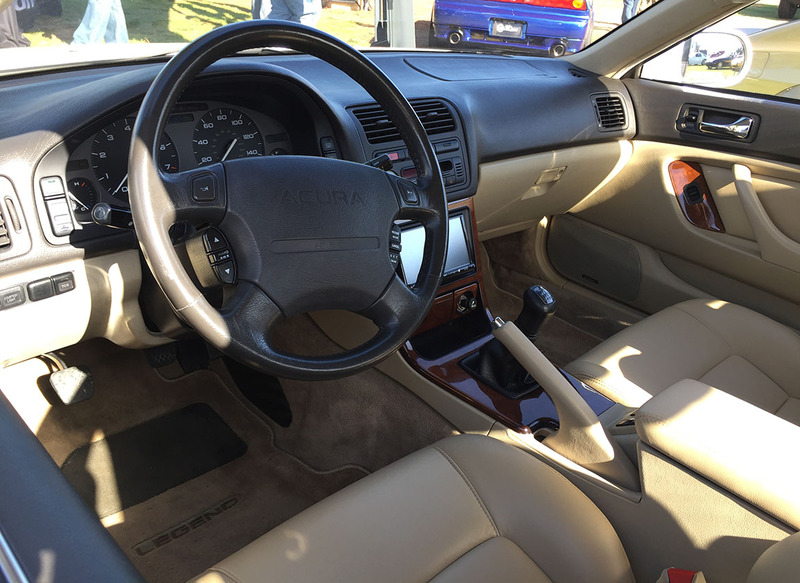 The car gets shown at automotive events frequently and seems to be very much appreciated. Would love to see photos of your Milano Red! Thanks for reading!